​The Colorado lifestyle comes together in one magnificent vision at Flying Horse, where you’ll find elegant homes, breathtaking views, a private resort-style athletic club and spa, an 18-hole Tom Weiskopf golf course, a Euro-style clubhouse experience – including world-class cuisine, and luxurious lodge accommodations. 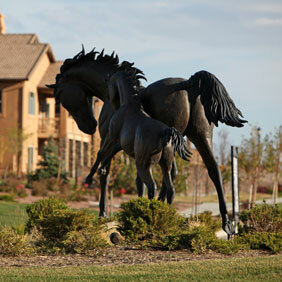 With homes priced from the upper $400s to custom homes in the millions, there’s something for everyone in Flying Horse. Discover the finest country club living in Colorado with homes built by the area's most respected homebuilders, including fully decorated model homes from: Alliance Builders, Classic Homes, Goetzmann Custom Homes, and Vantage Homes. The right place, the right time... Style, comfort, originality comes together in one magnificent vision, here at Flying Horse, where you’ll discover breathtaking Front Range views and stunning new homes crafted by Colorado Springs most respected homebuilders. 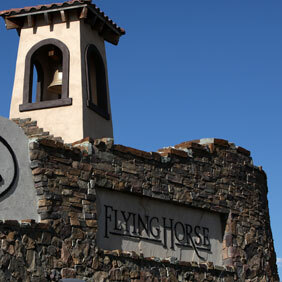 With homes ranging from the $400s to the millions, there's something for everyone in Flying Horse. Discover perfection in a land out of legend... With lavish new homes, custom homesites, elegant social and recreational facilities, a boldly-conceived K-12 academic campus, and a private, 18-hole championship golf course, Flying Horse offers lifestyle amenities unmatched anywhere in Colorado Springs. A ​Out of the heart of a legendary landscape comes a champion... The Club at Flying Horse, featuring a private 18-hole Tom Weiskopf Signature Golf Course, European resort-style Golf Clubhouse, word-class Steakhouse dining, and a state-of-the-art Athletic Club and Spa. The second 18-hole golf course is now under construction in Flying Horse North. Within the famed and award-winning Flying Horse community The Lodge at Flying Horse has quickly become one of Colorado’s most desirable hotel resort and meeting destinations. 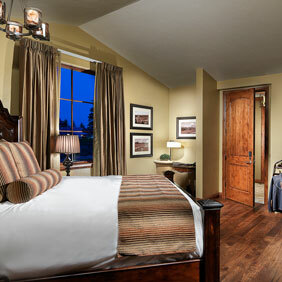 The newly constructed hotel features a lavish “Rocky Mountain Tuscan” architectural and interior design style. Guests of The Lodge have the opportunity to enjoy all amenities.